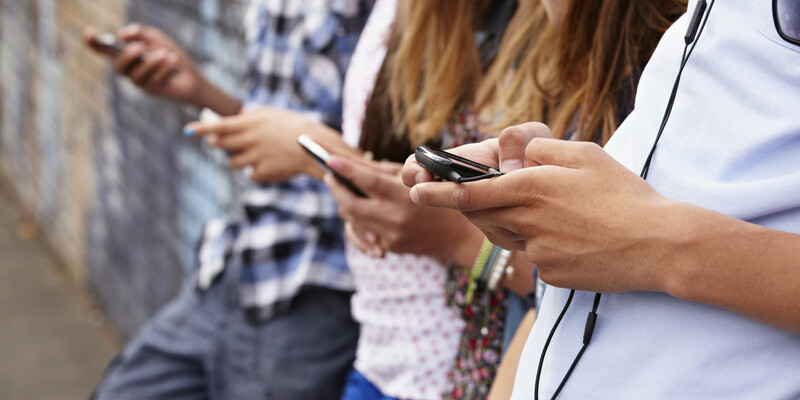 With teens spending more than 1/3 of their days using digital media to watch videos, listen to music, message with friends and to create and share content — that’s nearly nine hours on average – how do parents stay connected with their children online? Do they follow their social media activity? Do they check their text and group messages? As a parent of a teenager myself, and two more little boys who are extremely clued in to technology – one of them wants to be a “rich YouTuber” when he grows up – I’m a big proponent of simply asking kids about their day. That is, their day in both the physical world and the digital world. Societal norms have settled us into asking our kids about their day when they get home from school or while sitting around the dinner table that evening. How was your day? Did you learn anything new? Do you have any homework? What did coach say after the game last night? Do you and your friends have plans after the game Friday? Rather than stopping here with the physical world, also ask them about their day in the digital world. What was the funniest thing you saw online today? What hashtags are you following this week? Have you seen anything that frustrates or concerns you on social media? Start general at first and as you learn more about the platforms they’re using, you can get more granular and specific. Are you and your friend still in a Snap streak? I see you subscribed to Liza Koshy’s YouTube channel… which video is your favorite? Make social media and the digital world part of your daily conversations with your children. Be engaged. Ask them about their habits, their interests and even things they don’t like. Be genuine. Don’t treat the discussion like an FBI interrogation… be open to learning and you just might discover something you can enjoy sharing together. Keep the lines of communication open. The hope is that one day when they come across something concerning, they’ll feel like they can talk with you about it. Feel free to share your own ideas for staying connected to your children online in the comments.